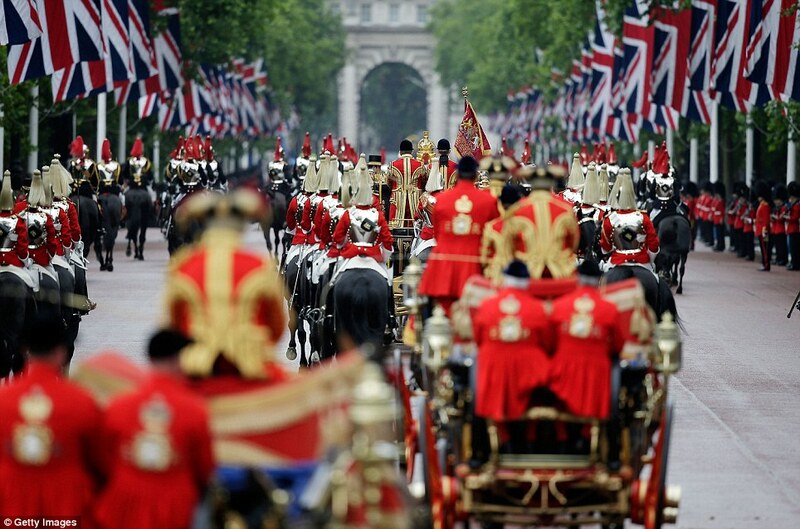 There’s nothing that appeals more to a true Anglophile than the pomp and circumstance offered by a royal event….and nobody does it bigger or better than the British. Today the Queen presided over her 63rd State Opening of Parliament and the pageantry offered by the occasion did not disappoint. 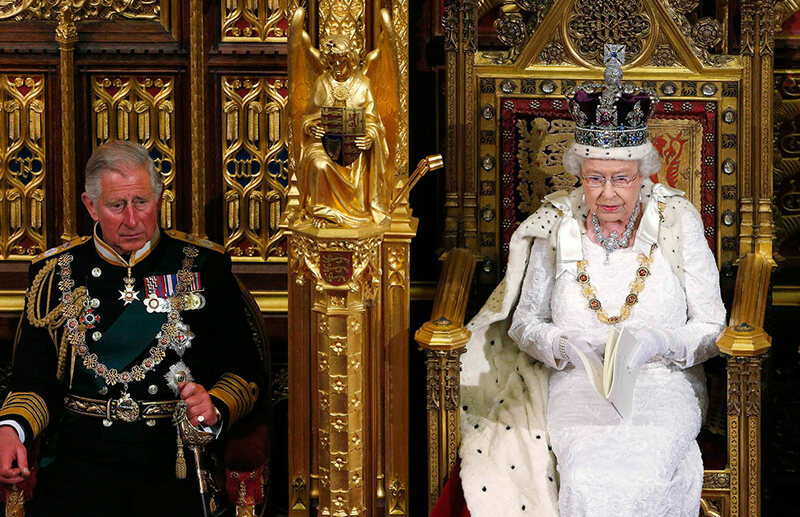 The State Opening of Parliament marks the formal start of the parliamentary year and The Queen’s Speech sets our the government’s agenda for the coming session, outlining proposed policies and legislation. 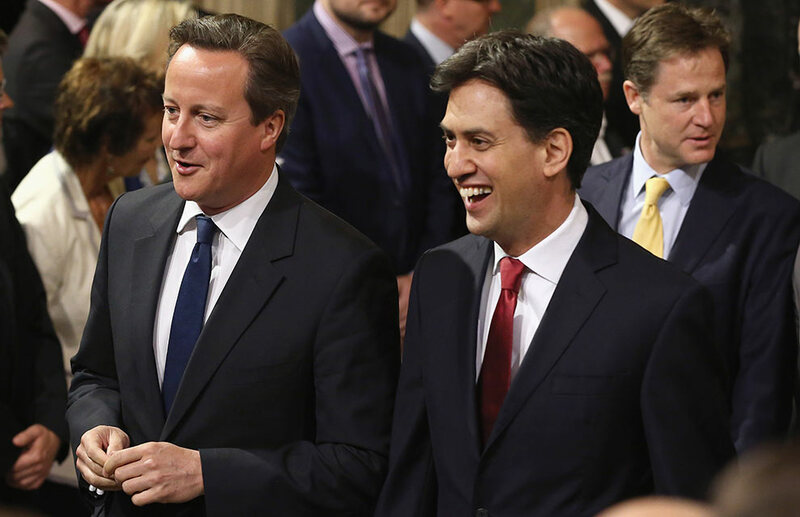 It is the only regular occasion when the three constituent parts of Parliament – the Sovereign, the House of Lords and the House of Commons – meet. This event attracts large crowds along the route and is watched by millions around the world. 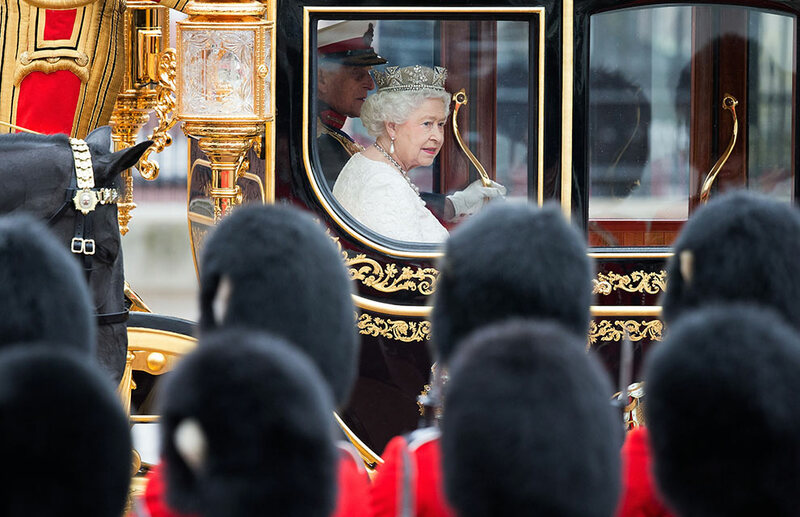 Thousands line The Mall, Union flags flying high as the monarch processed from Buckingham Palace to the Palace of Westminster in the Diamond Jubilee Coach. 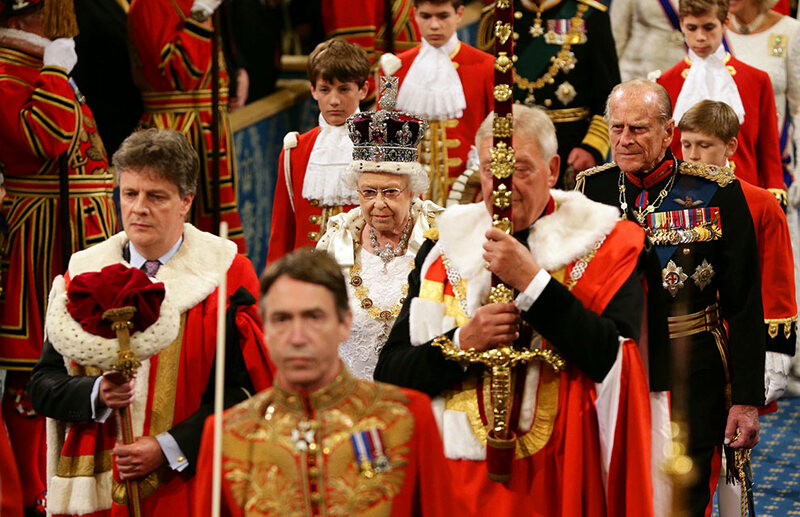 The Queen in all her glory…wearing the Imperial State Crown and the Robe of State, she leads the Royal Procession through the Royal Gallery, packed with 600 guests, to the chamber of the House of Lords. 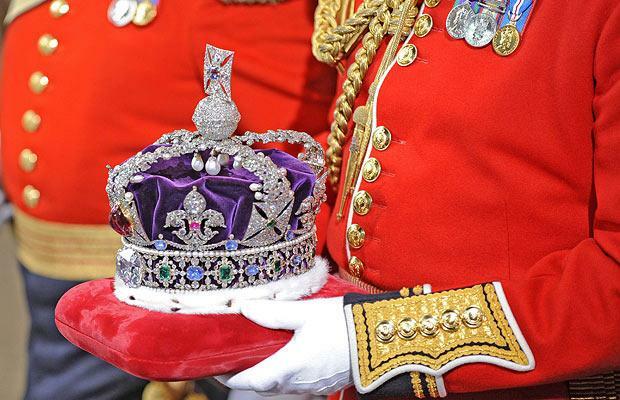 The Imperial State Crown worn by The Queen features 2,868 diamonds, 269 pearls, 17 sapphires, 11 emeralds, rubies and weighs .91 kilograms (2.0 lb). The crown was made for the coronation of King George VI in 1937 but is closely based on a crown designed for Queen Victoria in 1838 by the crown jewellers of the time, Rundell, Bridge & Rundell. 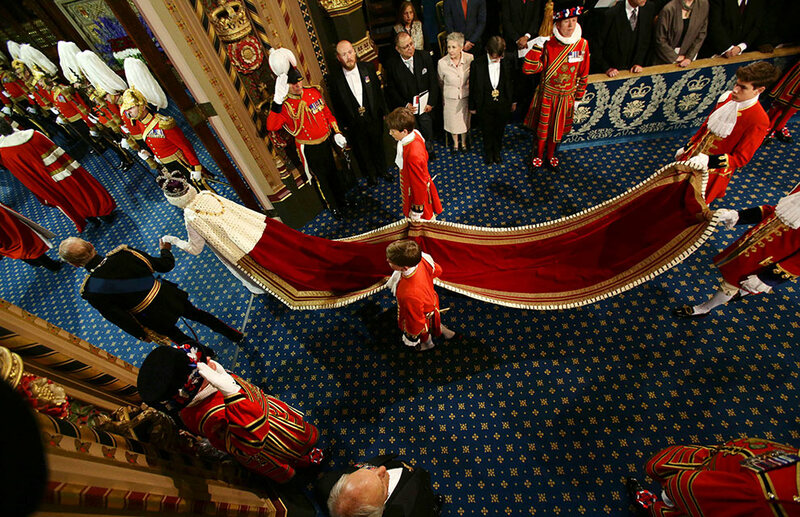 The House of Lords official known as ‘Black Rod‘ is sent to summon the Commons. The doors to the Commons chamber are shut in his face: a practice dating back to the Civil War, symbolizing the Commons’ independence from the monarchy. 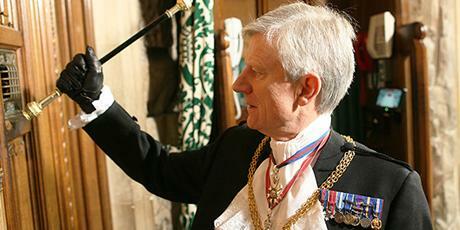 Black Rod strikes the door three times before it is opened. Black Rod is a senior officer in the House of Lords. He is responsible for security, controlling access to and maintaining order within the House and its precincts. 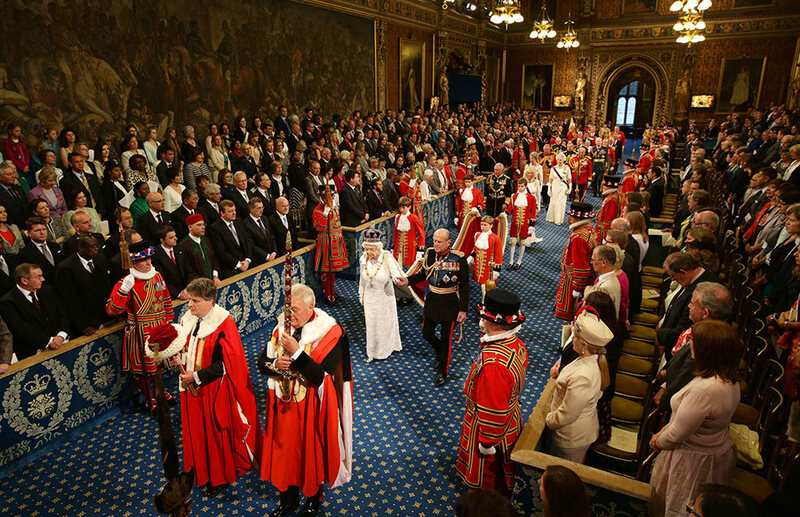 Members of the House of Commons then follow Black Rod and the Commons Speaker to the Lords chamber, standing at the opposite end to the Throne, known as the Bar of the House, to listen to the speech. Who attends: Members of both Houses and guests including judges, ambassadors and high commissioners gather in the Lords chamber for the speech. Many wear national or ceremonial dress. And of course, The Prime Minister. Things don’t always run perfectly smoothly. 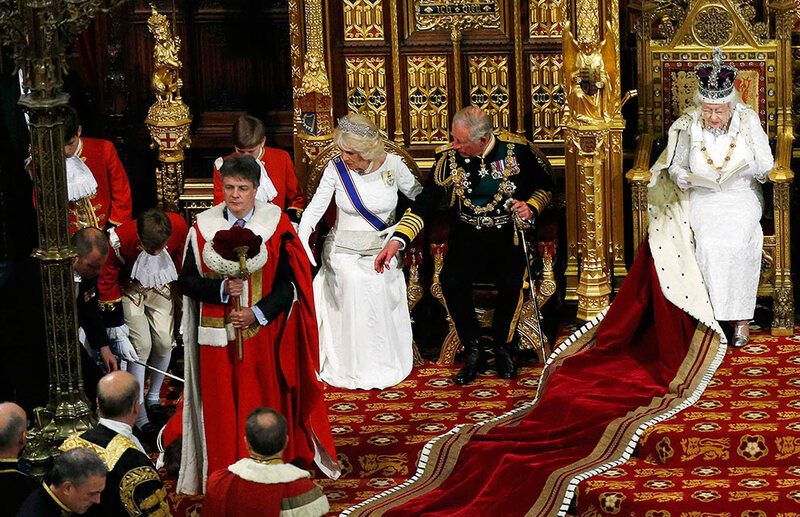 At today’s ceremony one of the Queen’s pageboys, who helps carry her train, appeared to faint. Prince Charles and Camilla, who were sat nearest the little boy, look to help…as someone came to his rescue. 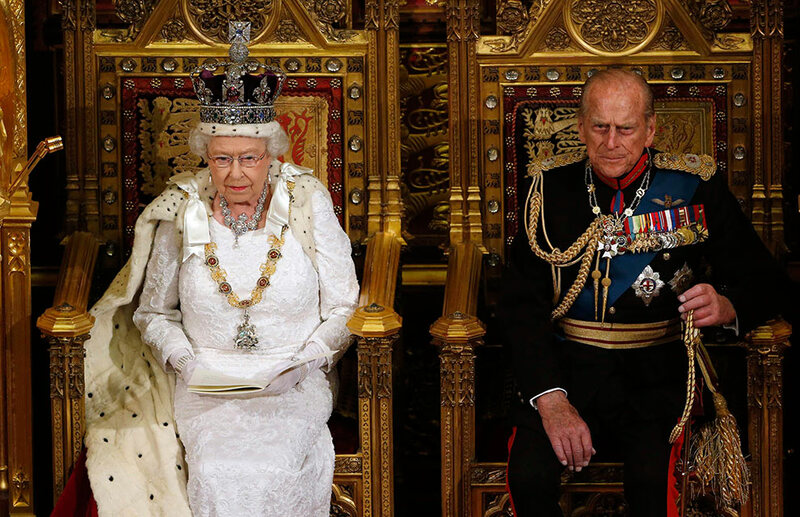 The Queen, unaware of what happened motors on. Young pageboy faints during ceremony. One day Prince Charles will be in Her Majesty’s place and by then he’ll be well familiar with the routine. This entry was posted in Home Page Posts, Rule Britannia! and tagged British Monarchy, Opening Day of Parliament, The Imperial State Crown, The Queen. Bookmark the permalink.